Ebert Presents At the Movies debuted on PBS Friday—a triumphant return after years of health challenges for the Pulitzer Prize-winning critic. Gail Sheehy talks to Ebert and his wife about how he got through his rough cancer fight. On Friday night, Roger Ebert made a triumphal return to television, the first ever talk-show host without a voice of his own. After a 40-year career as a beloved print and TV movie reviewer, his face and voice were eclipsed by throat cancer. In 2008, it looked like he had reached the last exit. But Friday night on PBS, he was back for “a fourth act,” talking again about his passion, with a pleasantly familiar computer-generated voice, in a new show produced, financed, and wholly owned by his wife Chaz and himself: Ebert Presents At the Movies. With a nicely shaded silicone prosthesis supplanting his neck and chin and creating a perpetual smile, the Pulitzer Prize-winning Chicago Sun-Times film critic looked not so very different at 68 than he did four years ago, when he was lost in a long dark tunnel of repeated surgeries, each one failing to rebuild his cancer-ravaged face. The Eberts recalled that ordeal recently while they watched Michael Douglas, last fall, struggle through six hellish weeks of combined radiation and chemo to bombard his stage 4 throat cancer. Douglas never gave a thought to his mortality, according to his publicist and intermittent caregiver, Allan Burry. The macho actor announced from the start he would beat THE CANCER, and after “a wild six-month ride,” he put on his game face and told the world press on January 10th that he had indeed beaten it. Once he finished his “cancer tour” a week before the Golden Globe awards, he told Burry he didn’t want to dwell on it again; no more interviews. Ebert told me he had confronted his mortality long before he got sick. “In college, I read this by Beckett: “They give birth astride of a grave, the light gleams an instant, then it’s night once more.” A stubborn optimist by nature, he thought he was out of the woods after that first successful battle with throat cancer. In 2006, after a recurrence of cancer in his salivary glands, Ebert entered a Chicago hospital for surgery again, fully expecting to be out in two weeks and back on his TV show, At the Movies With Ebert and Roeper. • Quizzing Roger Ebert’s New Co-Host “Roger was very upbeat,” Chaz recalls. “He followed his usual pre-surgery ritual.” On the ride to the OR, he handed his wedding band to Chaz and said, “I want to see you when I wake up the recovery room, and you’ll give me my ring back.” As the doors to the surgical suite swung closed, Chas dissolved in tears. She had dreamt that this time, things wouldn’t be easy. To her surprise, the surgery went well. But afterward, Ebert’s chin and neck refused to heal. All the tissue around the irradiated area was falling apart, leaving the blood vessels below unsupported. But hospitals are paid only for the number of days designated by a code for the diagnosis on admission. And his cancer was gone. Two weeks later, right on schedule, the doctors and nurses crowded into Ebert’s room to say goodbye. Chaz was getting a cup of coffee when she suddenly got the call: “Come up to the room—something’s gone wrong.” His carotid artery had ruptured. Doctors couldn’t figure out how to stop bleeding. Over the next 18 months, Ebert circled in and out of operating rooms countless times. After each painful surgery, Chaz would hold up a mirror and her husband saw his face restored and felt hope. Within hours or days, when blood flow could not be sustained in the irradiated areas, his new neck and chin would collapse, again and again. He was “retired” from the Sun-Times. How did he find the courage to go on? But the first time she went away, the seriousness of their situation hit her. She was so horrified, she stayed in her room, sobbing, had dinner delivered, took two bites, and slept like there was no tomorrow. “After two days, I had to get back to Roger. I was his advocate.” . Chaz kept the Ebert company on life support, helping her husband compile his reviews into four books, plus one on cooking; and finding content to keep his website going. But lying inert in hospitals for a full year out of those 18 months, the otherwise indefatigable Ebert became so de-conditioned that he couldn’t walk. He had to go to the Rehabilitation Institute of Chicago four different times to relearn walking. The secret of his resurgence is summed up in one word: acceptance. With acute peripheral vision, he is able to say that few people look at his face in alarm. And after appearing again on TV, everyone now knows what he looks like. Roger Ebert gives new meaning to the old encomium: He is comfortable in his own skin. 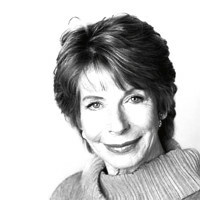 Gail Sheehy is the author of 15 bestselling books, including the revolutionary Passages . Her most recent book is Passages in Caregiving: Turning Chaos Into Confidence.